It looks like I’ve got a bad case of Back-to-School Fever! This morning, I dropped off my boys at school and shortly thereafter, I had the pleasure of welcoming a few dozen students from Fanshawe College’s Interactive Media Design and Interactive Media Specialist programs to our Digital Echidna home office. Whether they’re seven years old or 18, there’s a lot of similarities in how they present: of course, there’s the excitement about starting a new chapter in their lives and that’s combined with a healthy dose of nervousness -- simply because they really have no idea what’s coming for them. When you think about it, that really doesn’t change: new grade, new school, new job, new community -- we all experience transitions that are equal parts exciting and terrifying throughout our lives. I just hope I can help smooth that transition and give them some hope for their futures. The fact of the matter is that Digital Echidna has long been a proud supporter of Fanshawe College and we’ve been heavily committed to helping students bridge the gap between the education world and the work world. Over the past four years alone, we’ve brought aboard 20 interns who have been integrated into the Echidna team for four-month terms -- and many have returned for a second internship! Currently we have 11 full-time staff members who were interns. Why? I believe it’s because we place a premium on providing students with a valuable experience. We put them on projects that are expected to complete before their time with us is up. That way, they have something tangible at the end of their experience. They get to experience all parts of a project process -- from discovery right through to post-launch efforts. And they’re matched with an experienced team member who serves as a mentor and sounding board. It’s that last part that, I feel, can be the most important. In the room today, there are going to be those who have no problem interacting, stepping up, and speaking out. But there are just as many who are still feeling their way through the experience. They likely have something valuable to say, but aren’t comfortable about speaking out. That’s where I -- and, for our interns, our team mentors -- need to step up. It’s not about waiting for people to come to you, but it’s about creating an environment where they feel comfortable stepping out of their comfort zones. What’s the result? For us, it’s been dramatic. Approximately half of our staff have come through Fanshawe -- and many of them were first introduced to us through these tours. Many others have moved on throughout Canada, some after spending time at Echidna as interns, others after working here full-time for a while. In the end, supporting programs like Fanshawe’s means so much to our community. You can see the physical impact it’s having downtown, with the two new buildings. But the impact it has on our city’s reputation is even greater. We have some incredible technology-focused companies based in London, and Fanshawe is a big part of that -- the college is drawing talented students whose experience is complemented by companies like ours participating in their process. London has a solid reputation as a digital hub and that’s only going to grow by continuing to foster the development of the next generations of talent! So on behalf of Digital Echidna and the city of London as a whole, I hope I’ve been able to adequately welcome you all! We hope to see some of you soon as interns, and we are all looking forward to the amazing things you’ll do in the future! What internships are available in London? 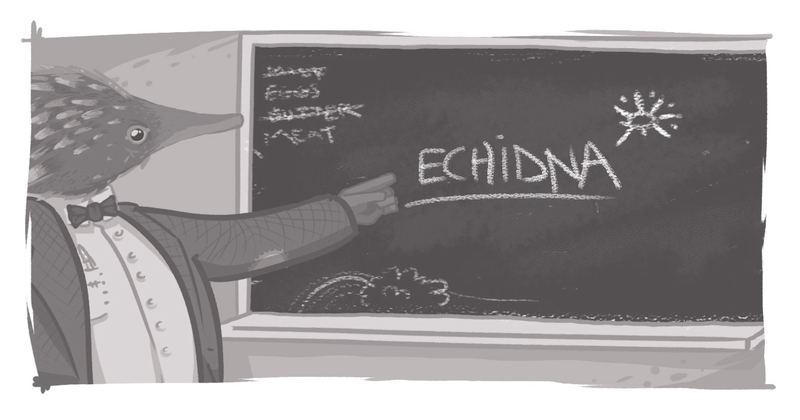 How does Digital Echidna support local education?